Buying a flat in Under Construction Project can be linked to the Indian psychology of buying a “NEW“. Under Construction Project is a high risk investment as the legal status is yet to be established. It also co-relate to the fact why prices are low during the pre-launch offer. At this stage, nothing is in place. In fact, in many cases builders sold the flats even before he signed the joint development agreement with land owners. I highlighted pros and cons of Resale Flat and Under Construction Project in my post on Resale Flat of Under Construction Flat, Which is better?. 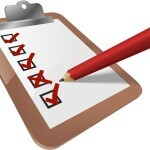 It is imperative to go through the basic checklist before committing yourself to Under Construction Project. Commencement Certificate in layman terms, is the permission to start construction from local development authority. Please note that the builder cannot lay the “Foundation Stone” & “Build Boundaries” in the absence of these 2 critical documents. 2. Title Search Report or TSR: Next imp step is to get Title Search Report independently from the local lawyer. There is a famous saying in North India that for any dispute in this world, core reason can be either of 3 i.e. Jar, Joru or Jameen / Money, Women or Land. Almost 60% properties in Bangalore are disputed due to Land title issue. A dispute can be within the family, improper land records or use of force / coercion. In case of joint development agreement between builder and land owners for under construction project, a dispute may arise on financials. The best possible scenario is that the builder should buy the land first and then start the project. In Maharashtra, builders prefer upfront purchase of land whereas in Delhi and Karnataka Joint Development Agreement is preferred route. The basic check can also be done by the buyer, he can pull out Encumbrance Certificate of land from local sub-registrar office to check ownership / lien status of land. 3. Approved Layout Plan: You should demand Approved layout plan from the builder. It is provided by local development / town planning authority of your city. Approved Layout Plan is as per approved FAR (Floor Area Ratio) or FSI (Floor Space Index). For example, if FAR in Noida is 2.5 and plot area is 80,000 sq ft then the builder cannot construct covered area of more than 2,00,000 sq ft on this plot. Deviation from Approved Layout Plan can have serious implications on the legal status of the Under Construction Project. Deviation of 5% is acceptable from approved layout plan. You should include a clause in your agreement with the builder that construction will be as per approved layout plan with a max deviation of 5%. The common tendency of builders is to construct extra floors in Under Construction Project. Another soft target is manipulation in the floor numbering in Under Construction Project. The biggest culprit is “Mezzanine floor” or parking on the ground floor. Assuming, builder received approval for Ground + 7 floors. He will construct parking on Ground Floor which will be -1 Floor and “technically” 1st floor will be tagged as Ground Floor. Now he can construct an extra floor therefore floor no 7 will be in reality 8th floor. Buyer will be unaware. This risk is more for top floors. 4. Approval from Govt Departments: In Karnataka builders need approval from min 17 Govt Departments for under construction project. This is one of the key reasons for the delay in under construction project. This delay is both intentional and unintentional. Builders normally keep 2-3 insignificant approvals pending so that they need not pay the compensation / penalty to buyers for delay in the project. You may check with your lawyer, the list of approvals required. Some of the approvals are critical and few can be ignored if not in place. For example, you may ignore the approval from BSNL / MTNL, it is unnecessary. On the other hand, approval from pollution control board is must. Some approvals are location specific. For example, if the property is near Airport then approval from AAI (Airport Authority of India) is must. Some approvals are state specific, for example if the land is acquired by the builder from the specific community then approval from State Government is must under local state laws. You should hire a good local property lawyer who can help with a list of approvals required for under construction project. 5. Project / Land is Mortgaged: Another gray area and most difficult to find out. Small time builder mortgage the property and then sell it to the buyers. It is not the case that if land / mortgaged then the builder cannot sell the flat. The only condition is that he should provide NOC from the bank / lender that the bank does not have any objection in this regard. Any lien on land can be easily found out as i mentioned in point no 2 but if flats in under construction project are mortgaged then you should specifically check with the builder. Also, include the relevant clause in your agreement with the builder even if builder confirms that the project is not mortgaged. 6. Tri-Party Agreement / Confirming Party: Another common problem. If the flat is of land owners quota under JDA then Land Owners insist on bi-party agreement / assignment deed and vice versa. It is very subjective. But whatever be the case / situation, Any agreement signed by the buyer for under construction project wherein builder is not the owner of land should be tri-party agreement. Either builder / land owner should be confirming party in the agreement as the case may be. Sometimes, land owners give marketing rights to the builder and also sell independently. This is financial fraud and in case of bi-party agreement between landowner and buyer, the builder is never aware of this transaction. 7. Completion / Occupancy Certificate: It is critical to take legal commitment from builder that he will provide Completion / Occupancy Certificate on completion of the project. Builder may apply for Completion Certificate and Occupancy Certificate separately / together. Both are issued within 3 months of completion of under construction project. Please note that without Occupancy Certificate in place, project is deemed to be “Illegal”. I tried to cover all important points which are applicable universally. Each under construction project is different from legal and statutory perspective therefore it is advisable to hire an expert who can check micro details.